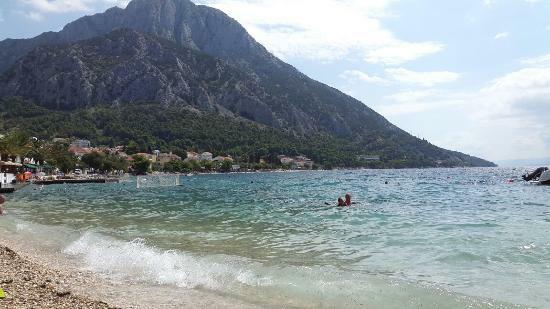 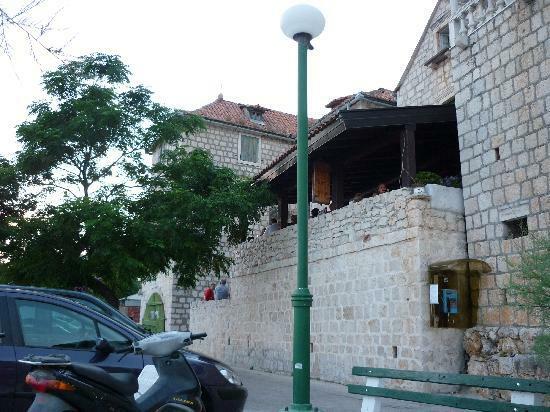 Vrgorac in Croatia, from Europe region, is best know for Reservations. 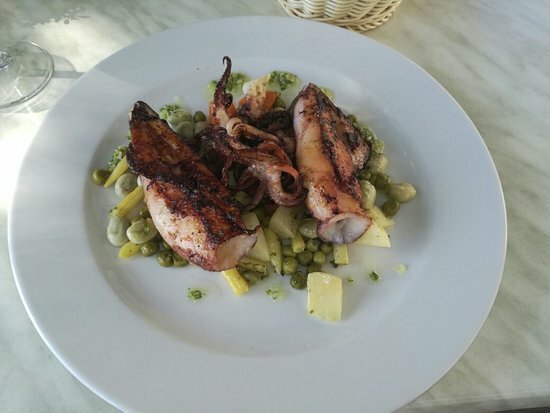 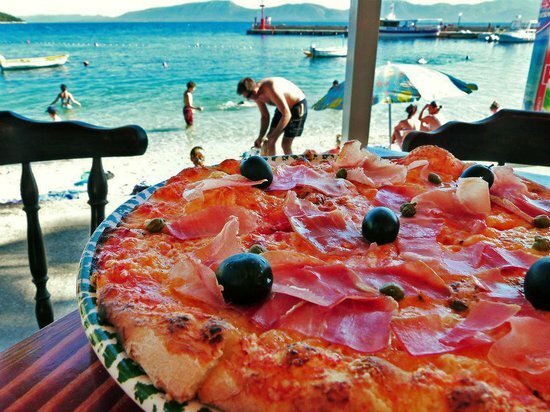 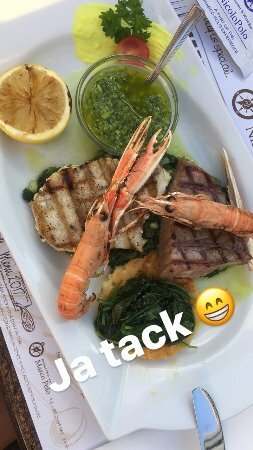 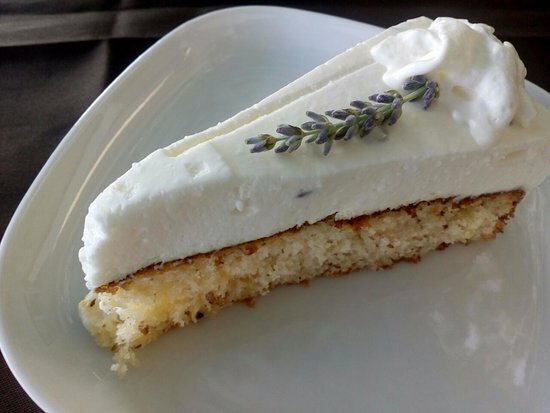 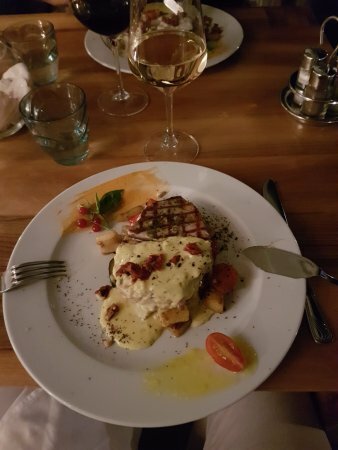 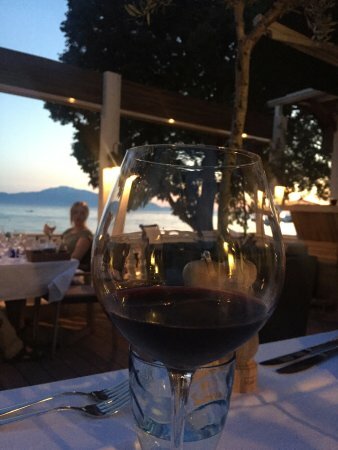 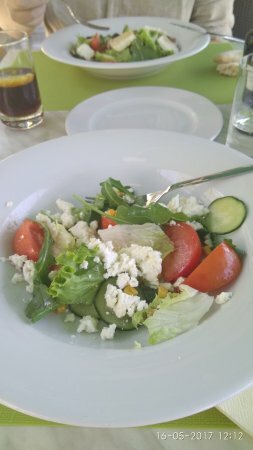 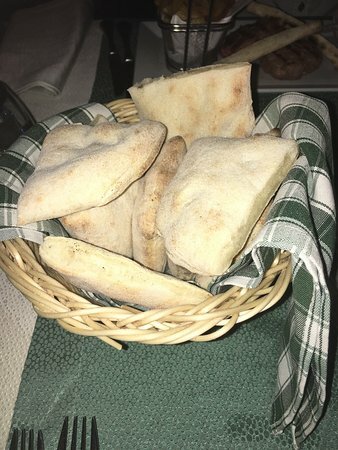 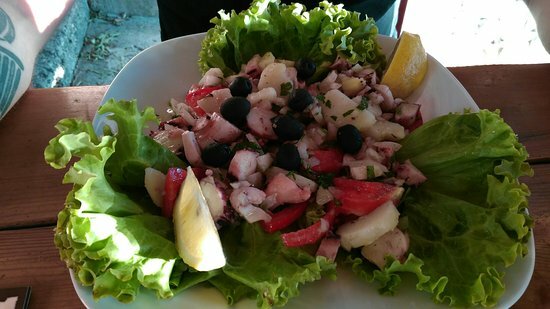 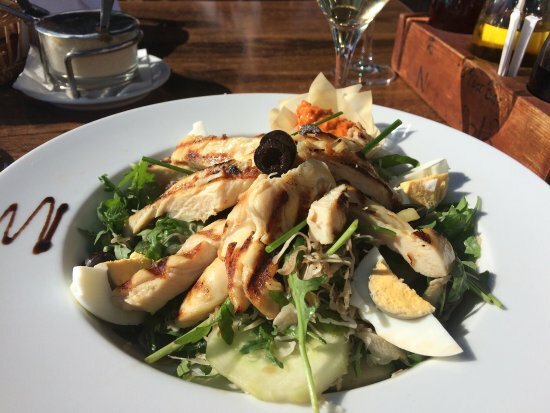 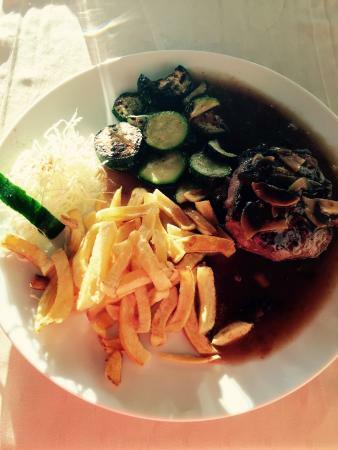 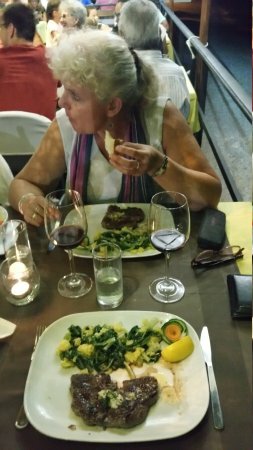 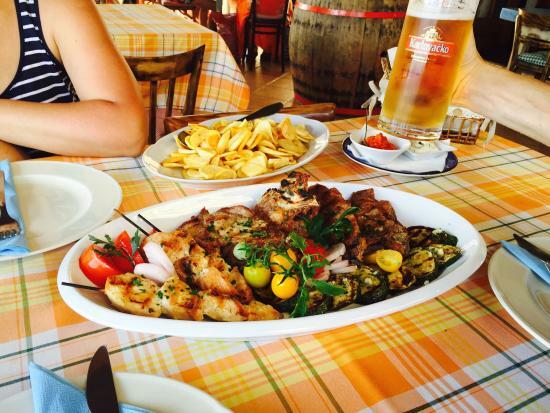 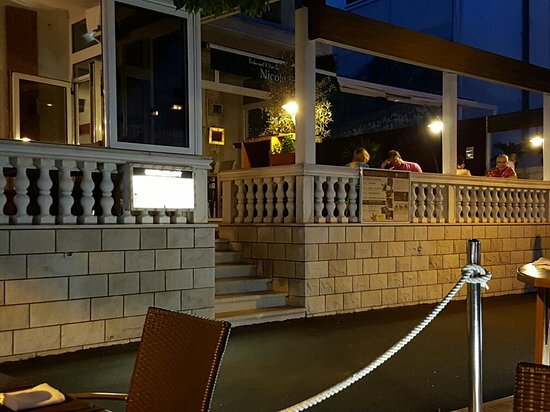 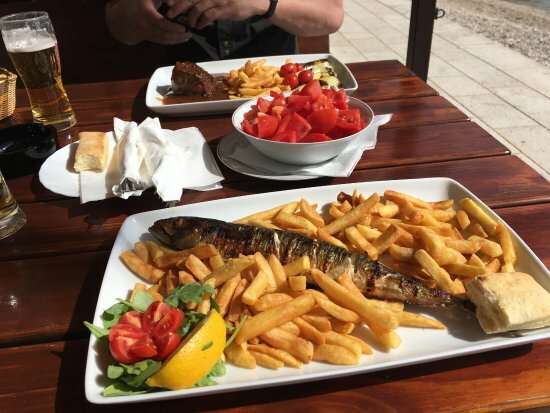 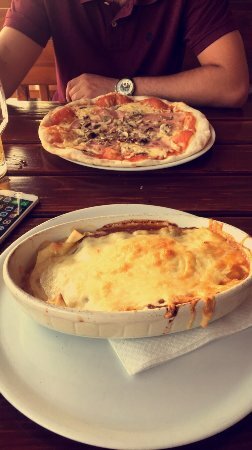 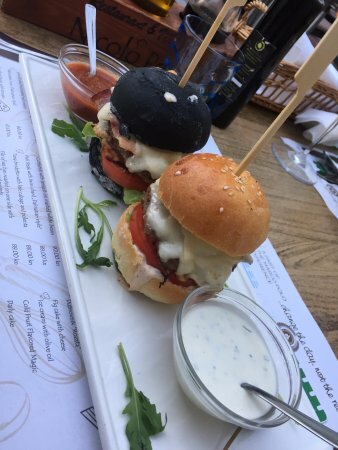 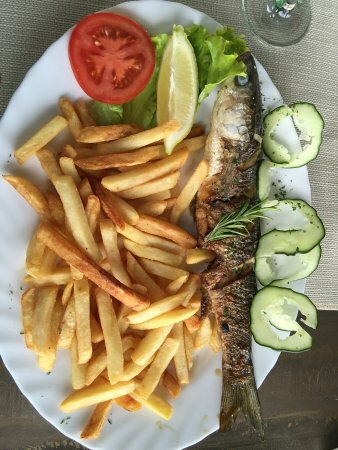 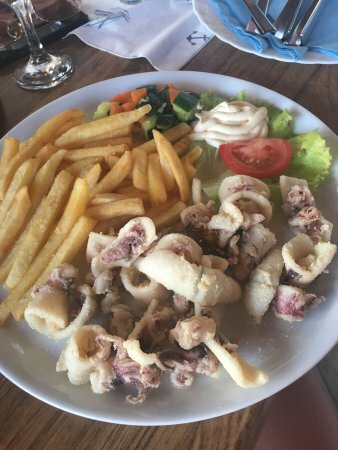 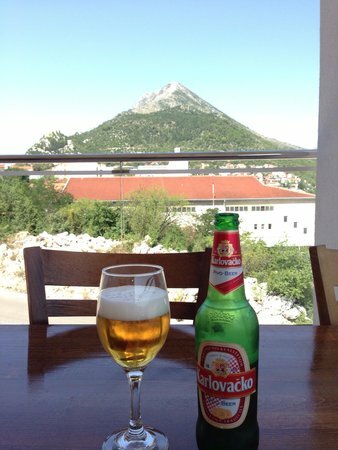 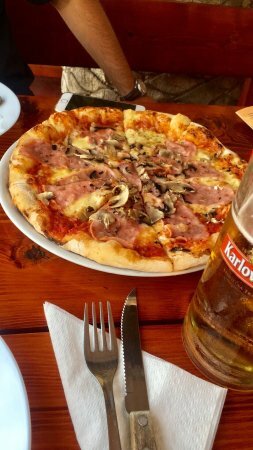 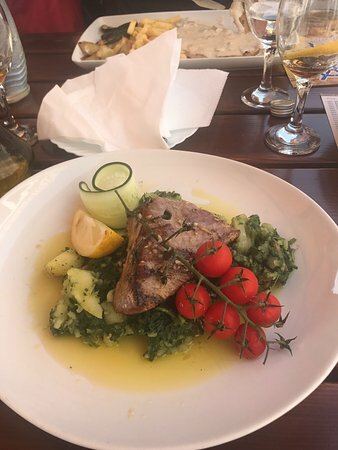 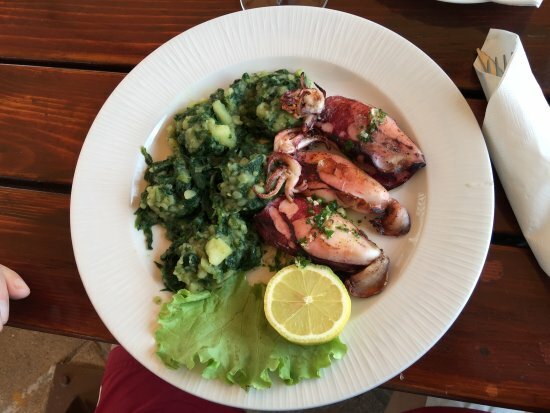 Discover best restaurants in Vrgorac with beautiful photos and great reviews from traveller around the world here! 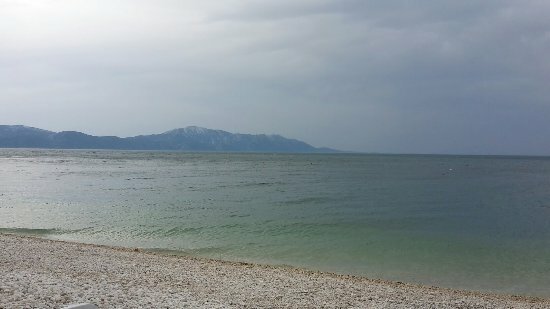 Driving along the coast from Dubrovnik to Split was the first great experience of the day. 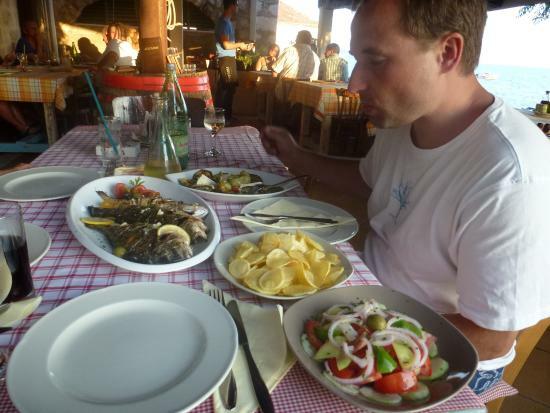 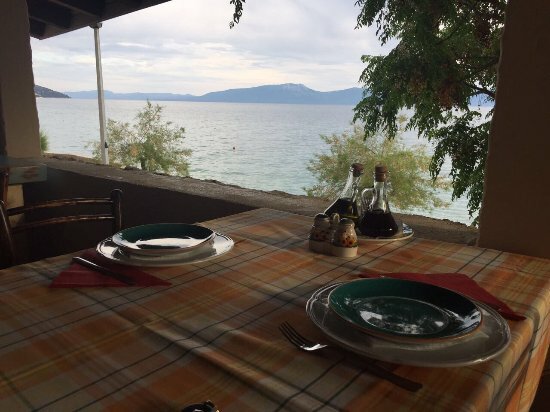 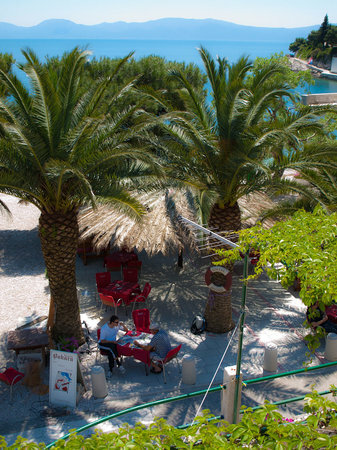 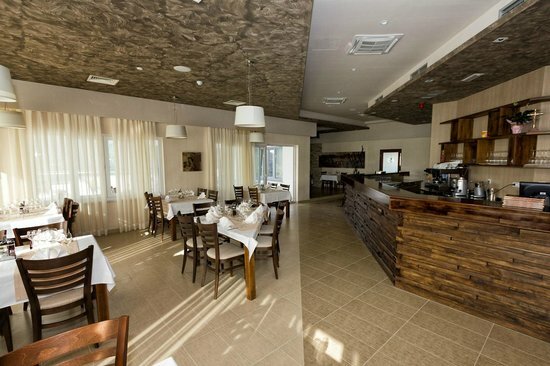 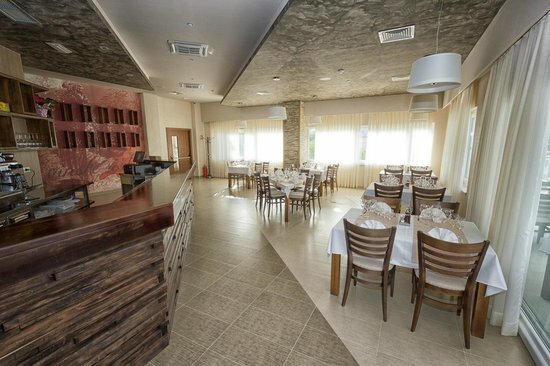 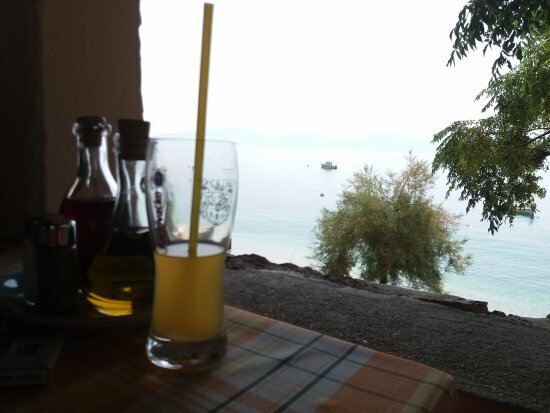 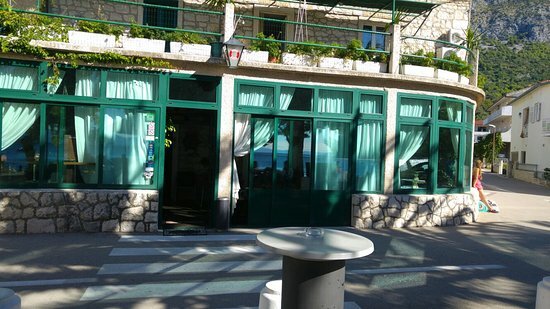 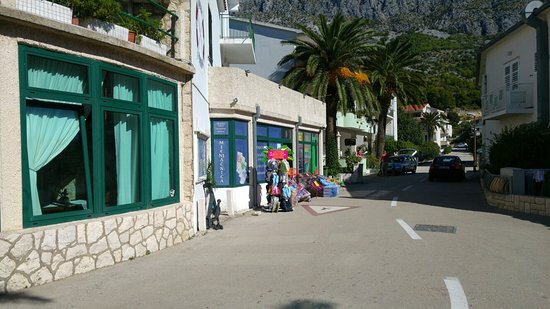 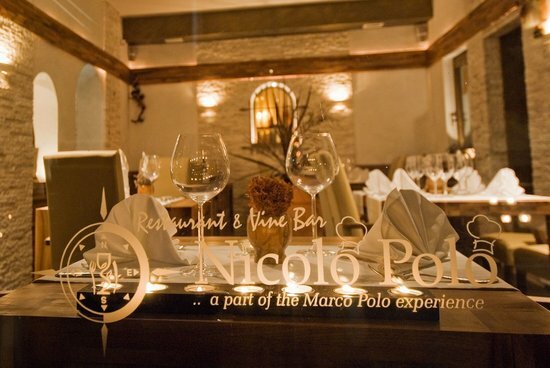 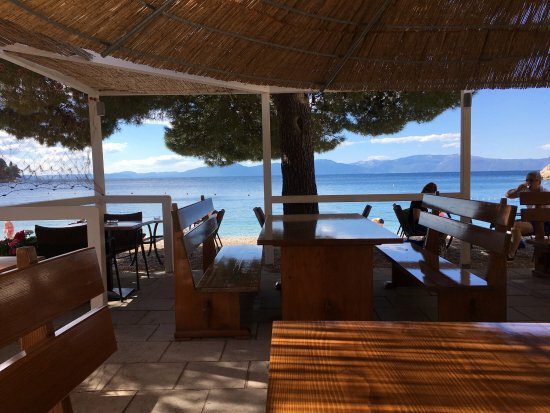 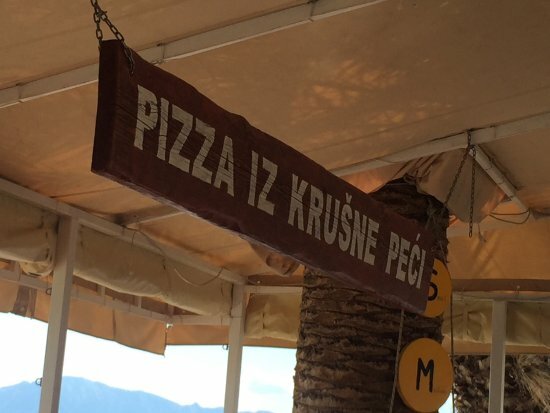 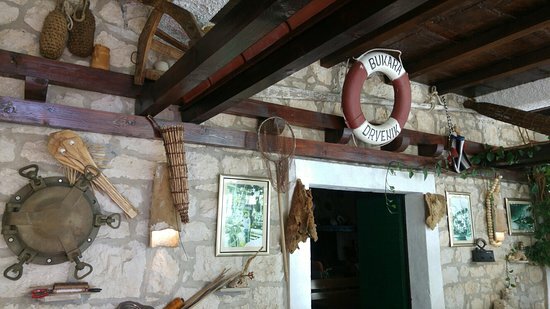 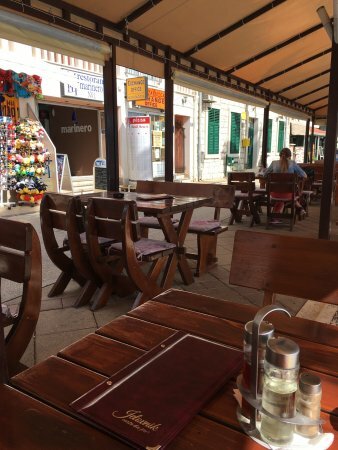 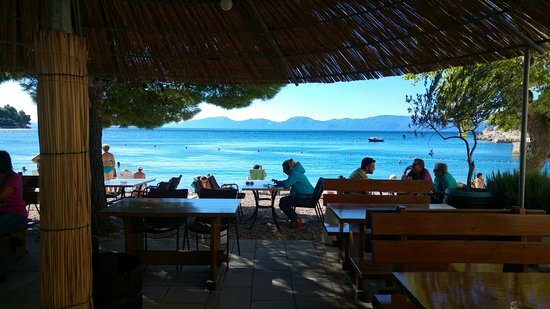 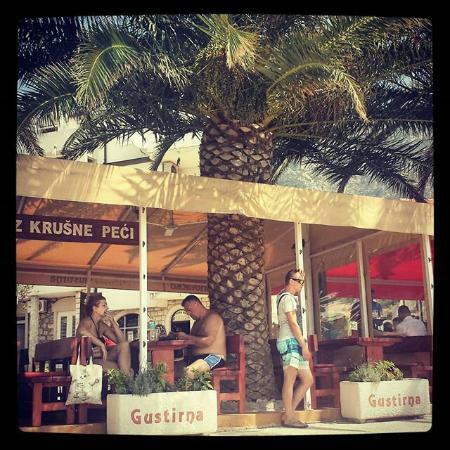 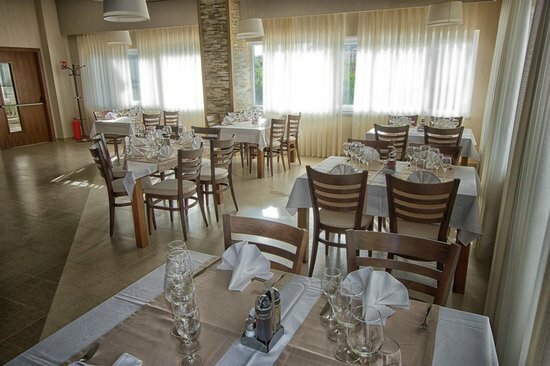 The second was finding this charming family run restaurant next to the Adriatic. 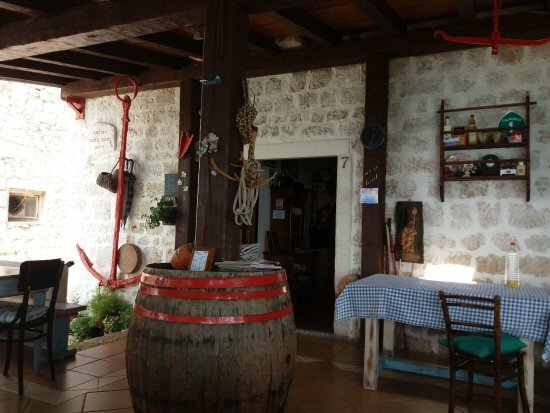 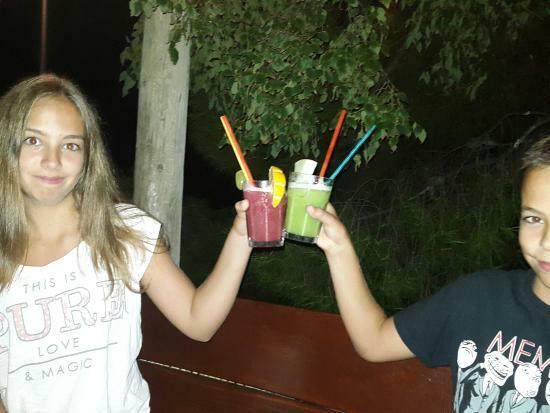 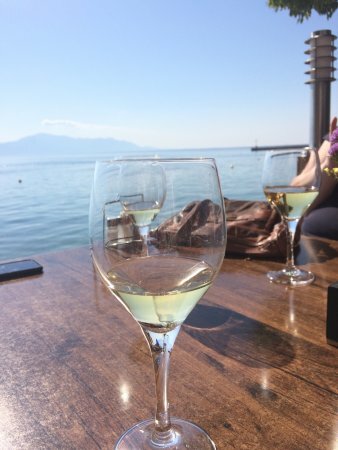 They make their own wine, grow many of the vegetables and everything is fresh and homemade. 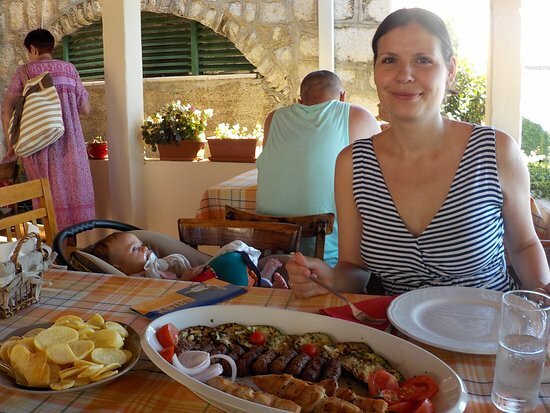 The daughter who waited on us was just a doll. 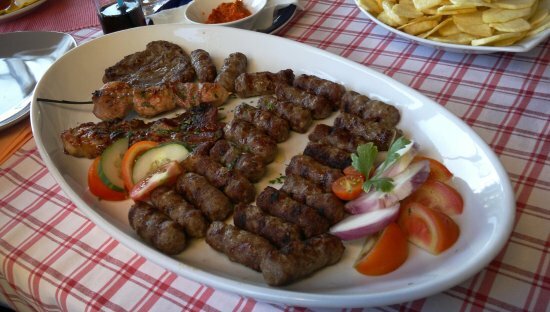 We had the platter of grilled meats which included sausages, skewered chicken and pork, beef steak and pork cutlet. 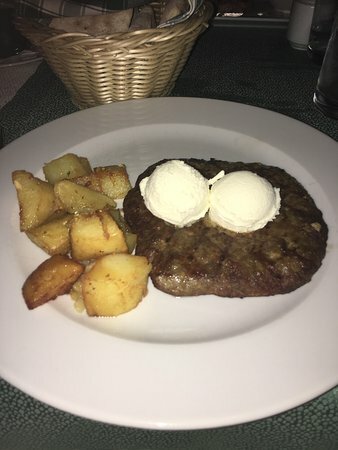 They had the best potatoes I think I have ever eaten and I am not a lover of potatoes. 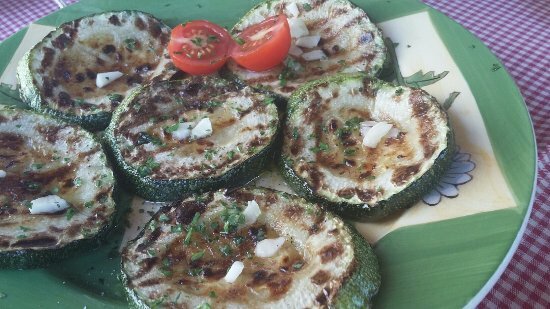 Along with this...fresh grilled vegetables. 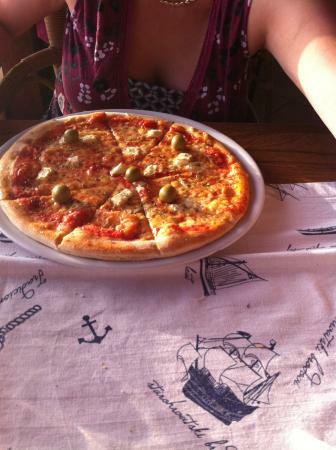 It is making me hungry just remembering this pleasant experience. 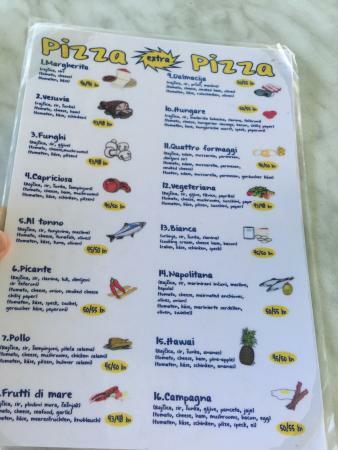 Average food for the type and class of restaurant. 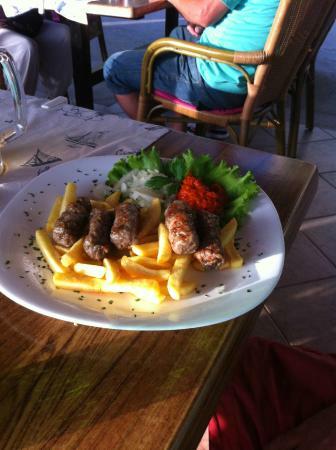 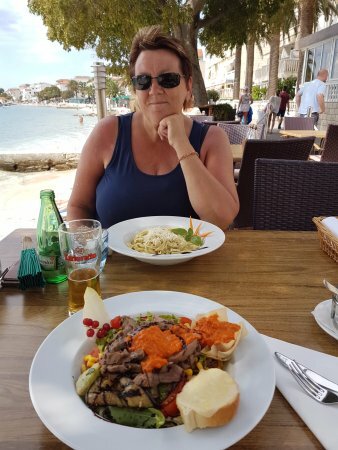 Nice location and very professional service but food served bit messy and rich. 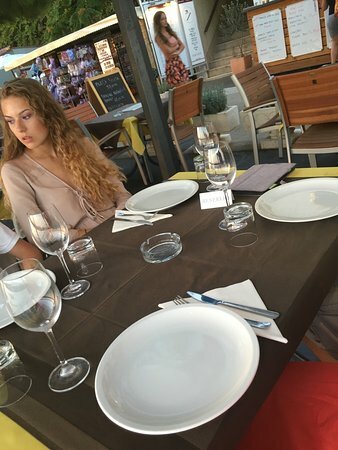 What happeneddddd!?!? 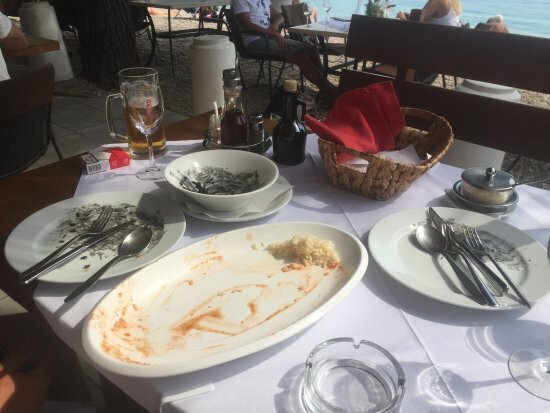 The restaurant is dirty, staff impolite, food is not the food you order ... what happened?! 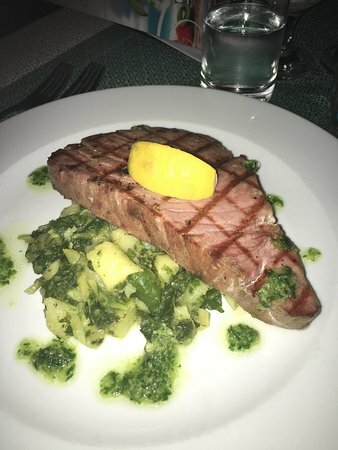 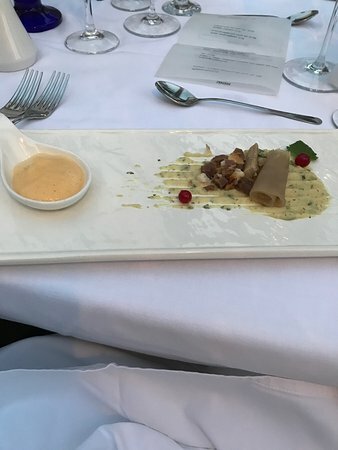 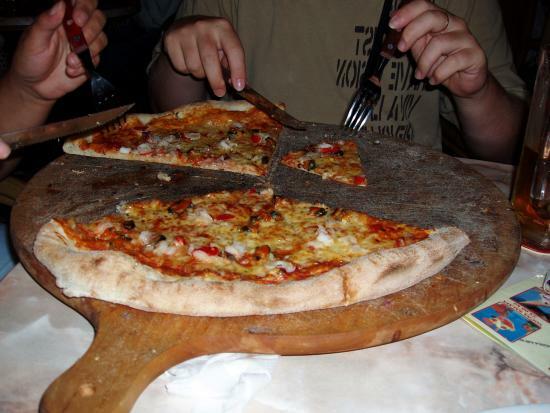 I will never go to this restaurant again! 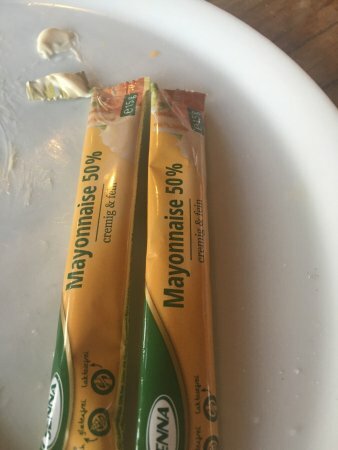 I am so disappointed. 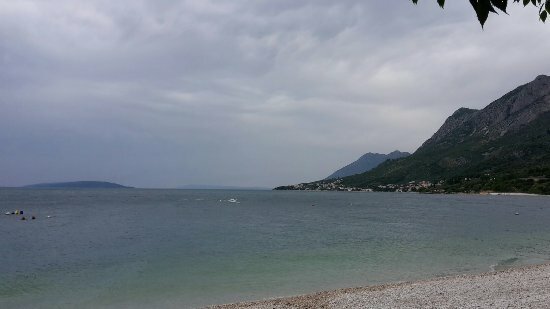 This was my favourite place ... Hm... Horrible. 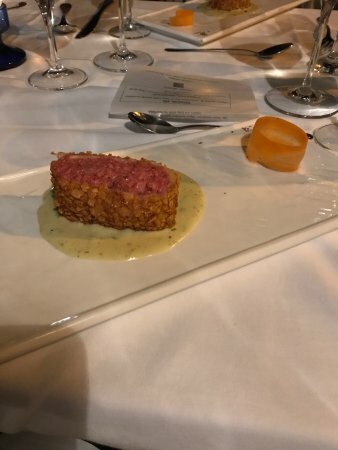 I ordered tomato soup, and I got ....everything but not tomato soup, I ordered fried cheese, and I got 2 tinyyyy tinyyy pieces of cheese ... seriously, what happened!?!? 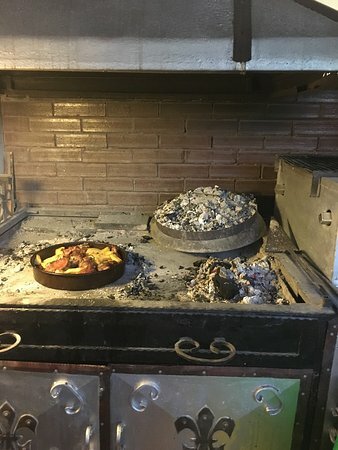 My husband and I just got up and left. 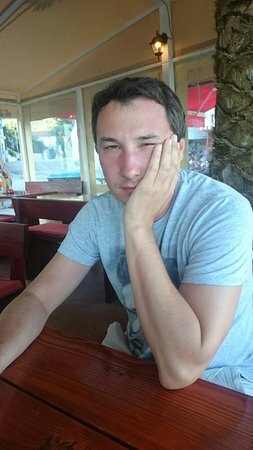 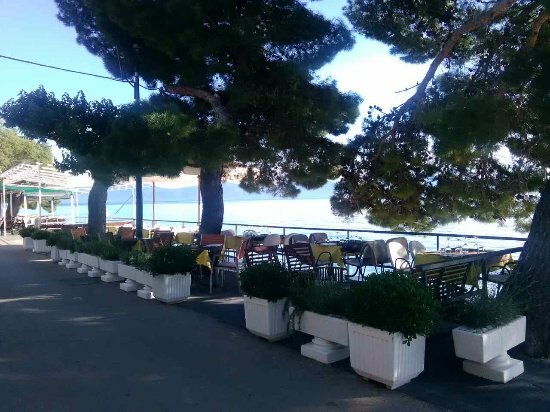 These thing saddens me on Balkan, you have a feeling of disrespectfulness, the feeling that you are being robbed, and you cannot do anything about it. 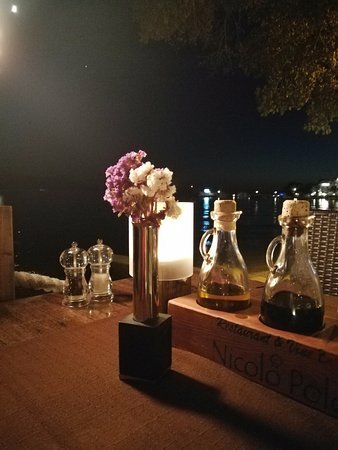 People, it&apos;s not about the money, it&apos;s about the feeling. 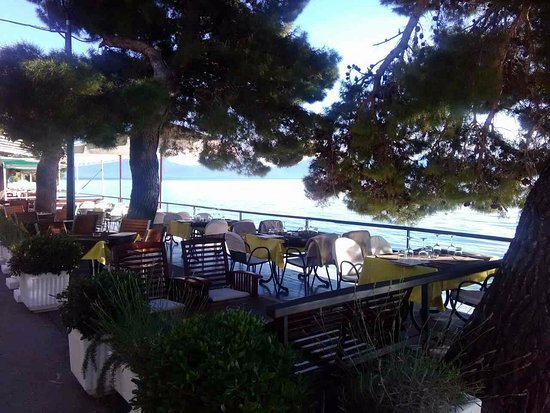 Restaurant Saudade is situated on the ground floor of Hotel Saudade and it consists of an indoor dining room part and outdoor Terrace directly by the sea. 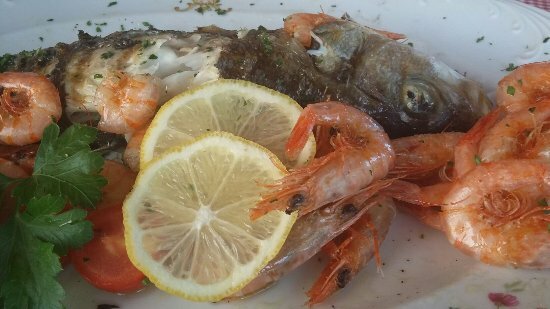 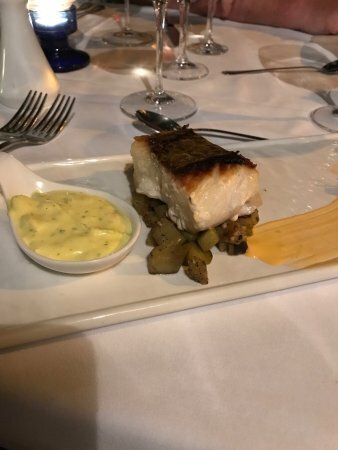 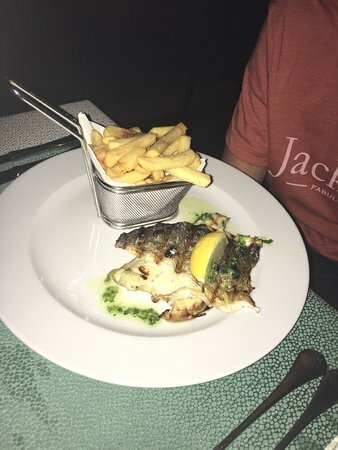 Our Chefs use only fresh, locally grown ingredients which this area abounds with, whether it is fresh fish, shellfish or vegetables. 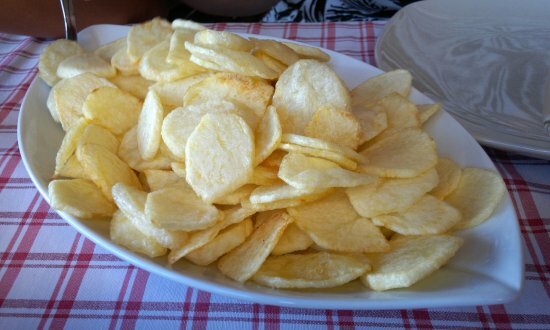 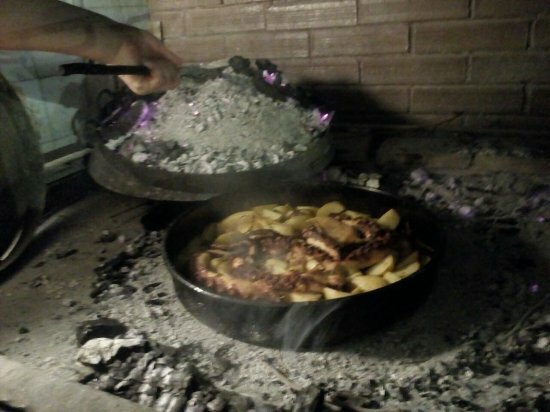 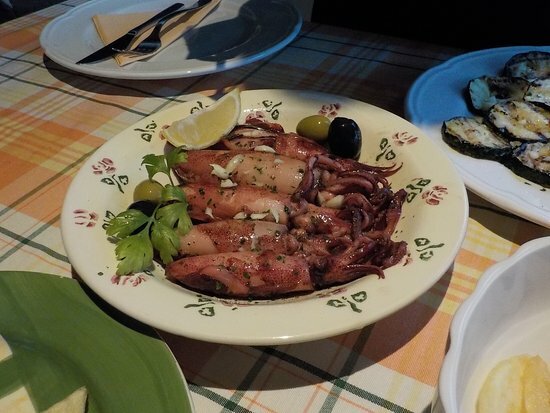 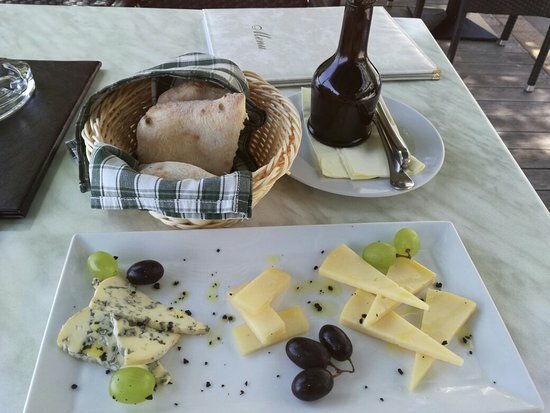 We put emphasis on traditional Dalmatian and Mediterranean specialties, which we prepare in original, traditional way. 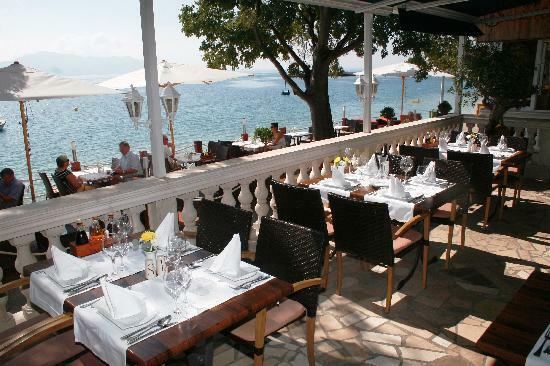 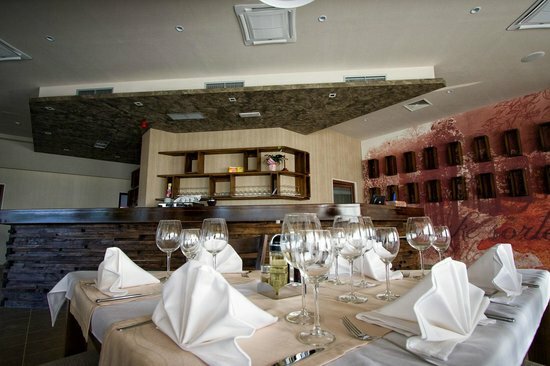 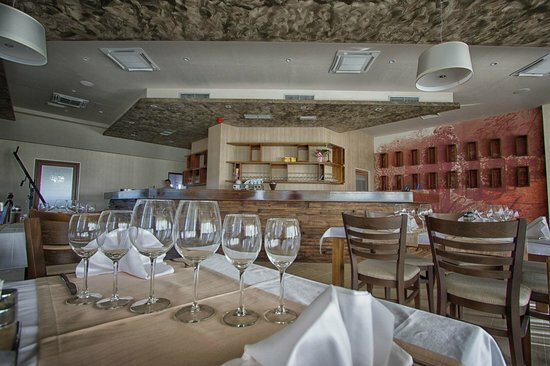 The restaurant is located inside the omonymus hotel Saudade. 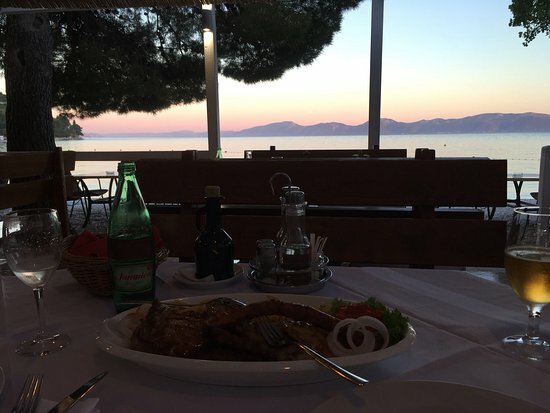 It has a wonderful view over the sea, the beach and sunset. 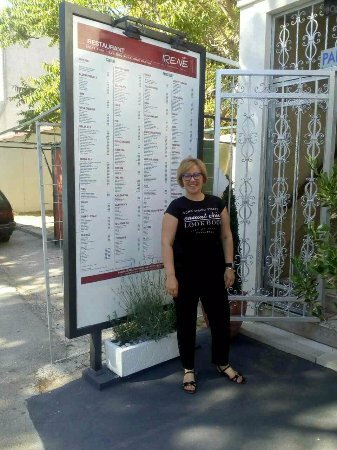 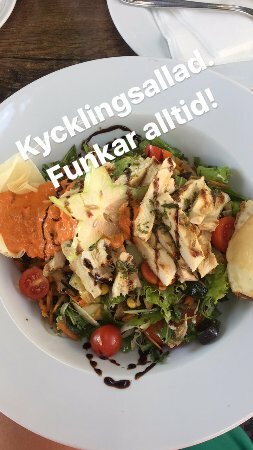 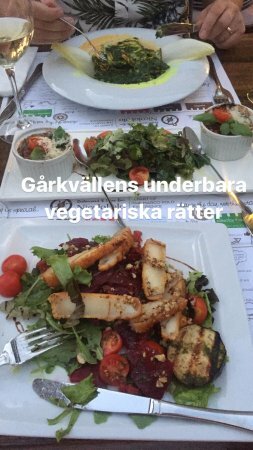 The staff was great: great service, kindness and good suggestions on which dish to choose. 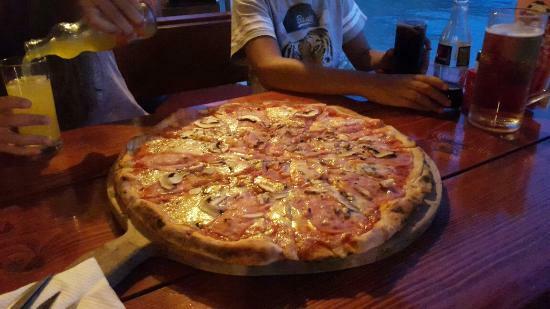 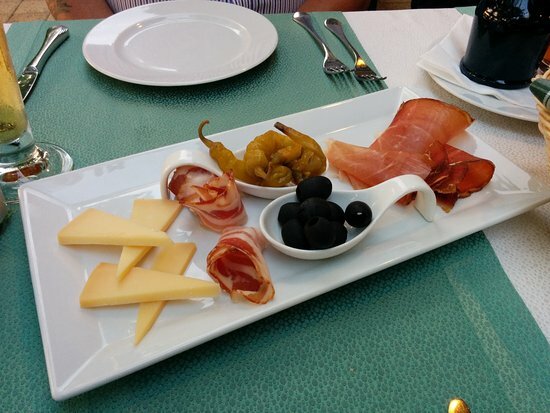 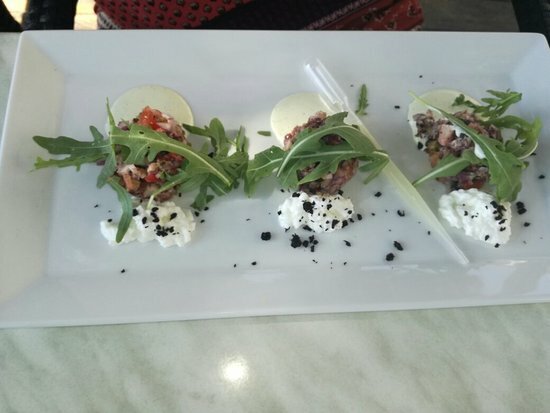 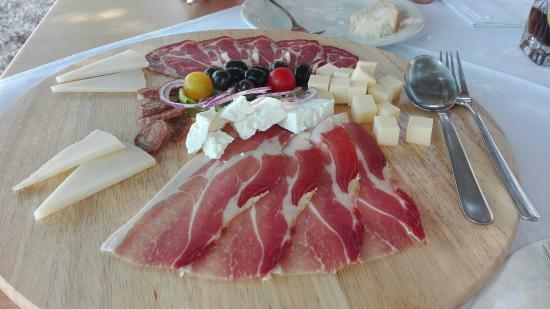 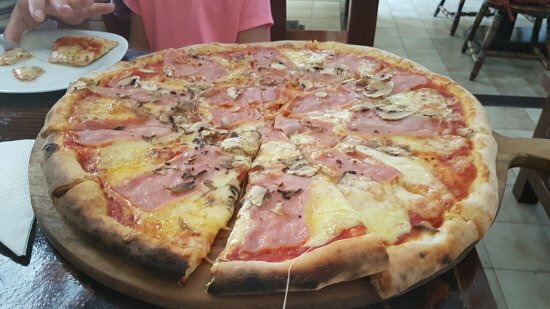 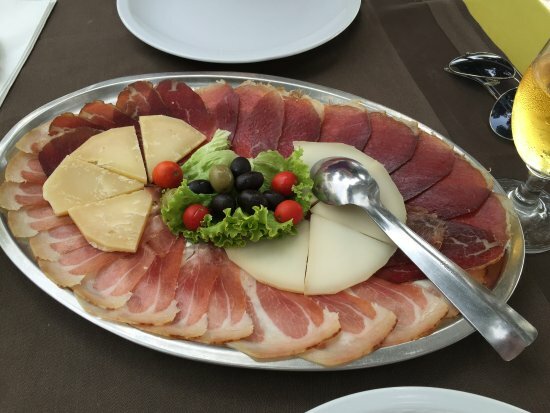 I chose as starter the "Dalmatian taste" with local ham, bacon, olive and different kind of cheese. 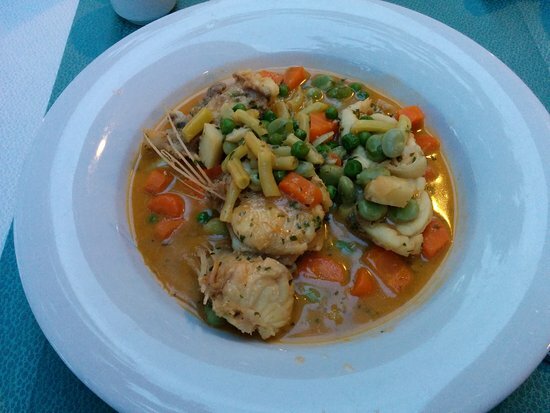 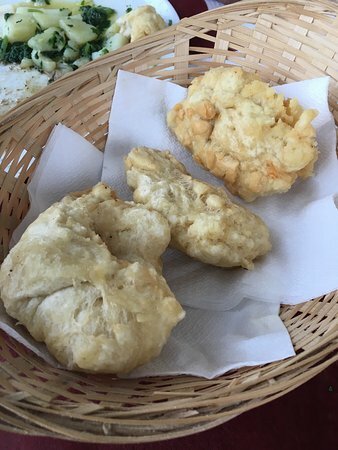 As main dish I tasted a fantastic Monkeyfish with local vegetable. 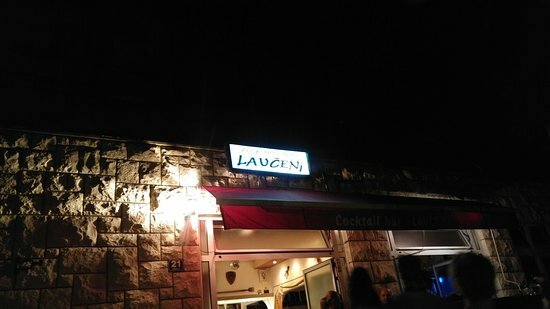 We visited on the recommendation from locals. 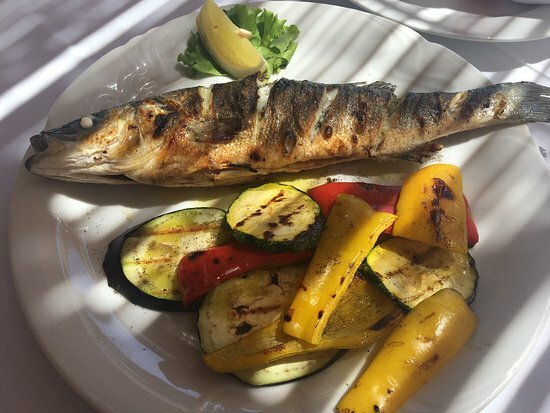 For dinner we had grilled sea bream and sole and fried calamari, with a side of grilled eggplant, zucchini and peppers; food which was cooked simply but was extremely tasty. 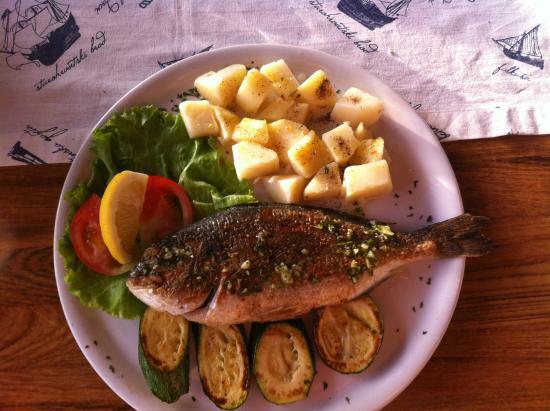 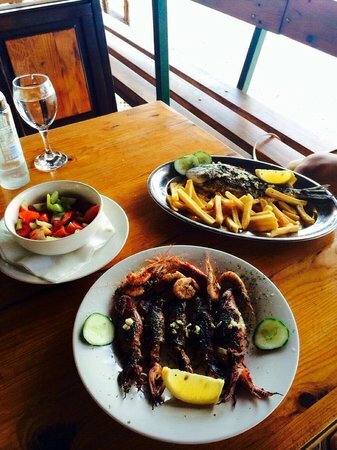 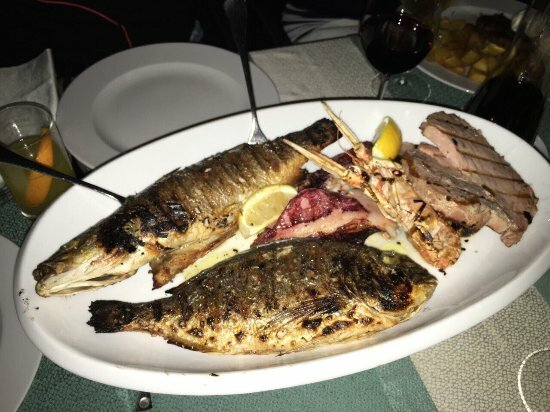 There is a large variety to choose from in terms of fish and seafood and other dishes. 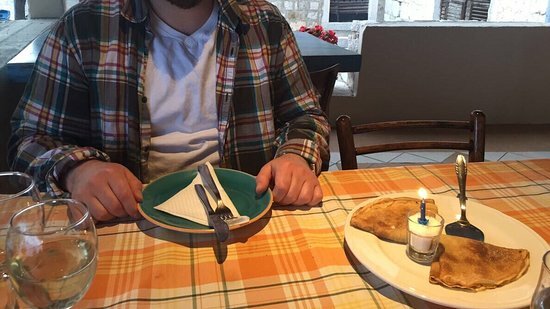 The waiter was attentive and friendly. 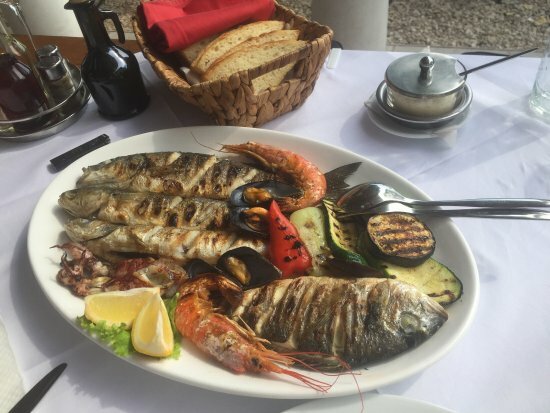 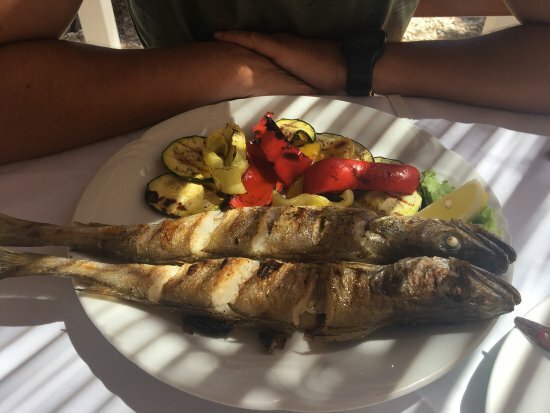 The price of the fish was very reasonable, especially when compared to prices in Dubrovnik and other large coastal towns. 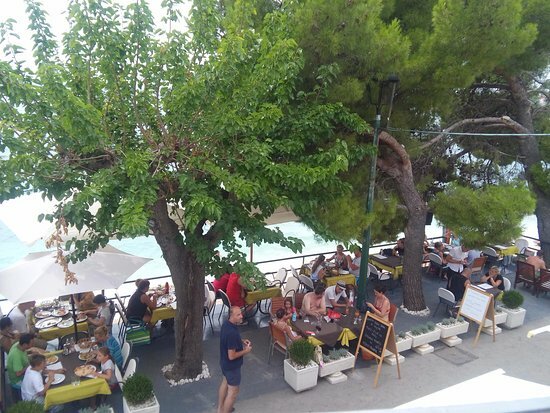 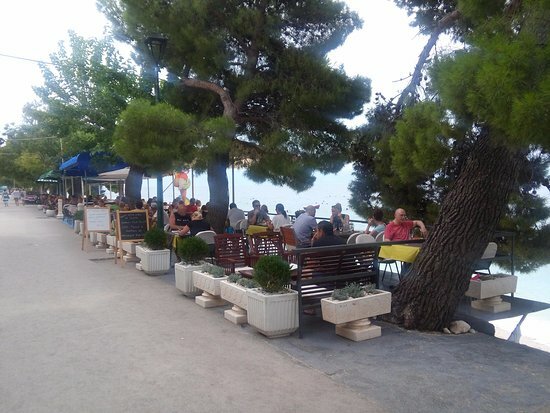 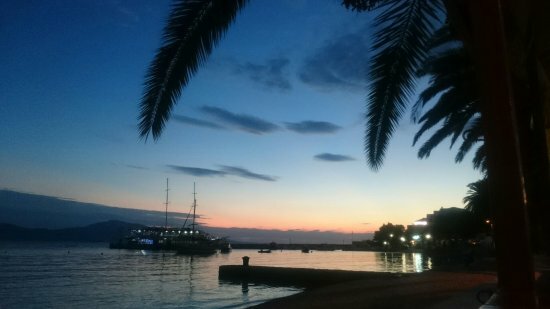 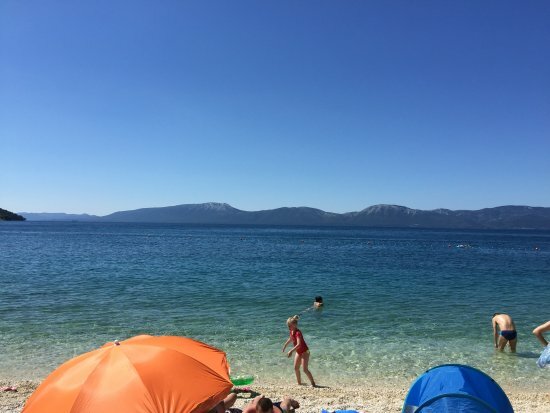 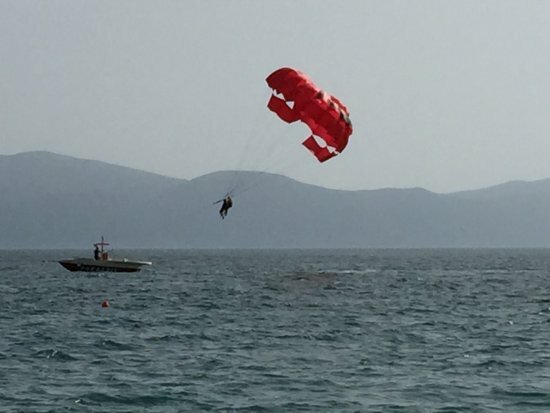 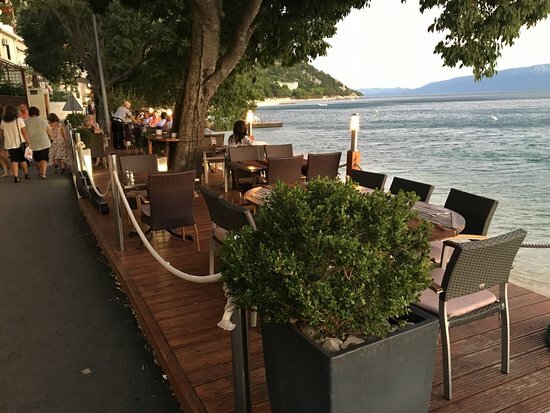 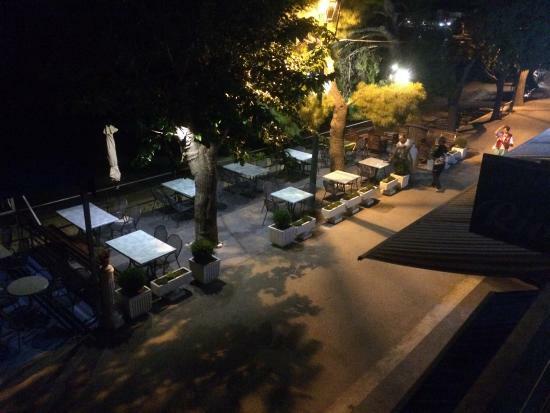 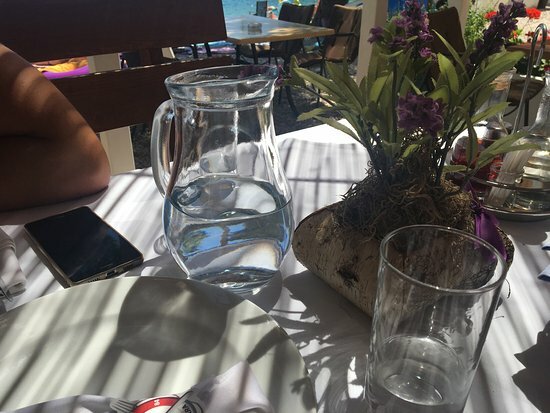 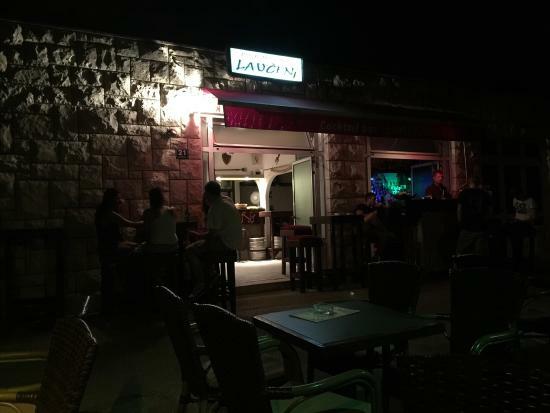 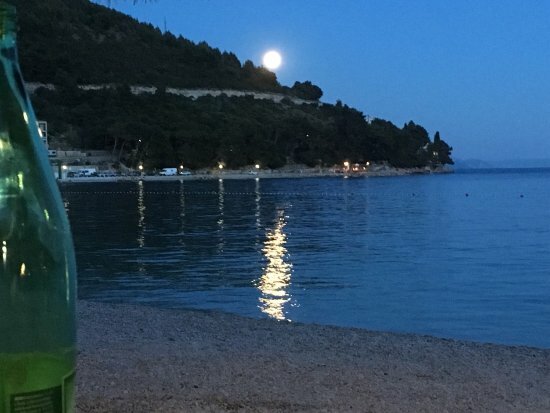 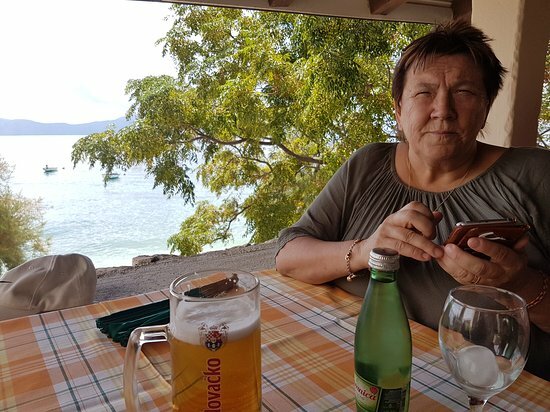 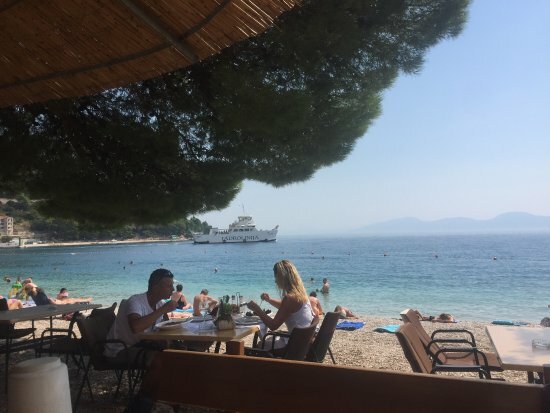 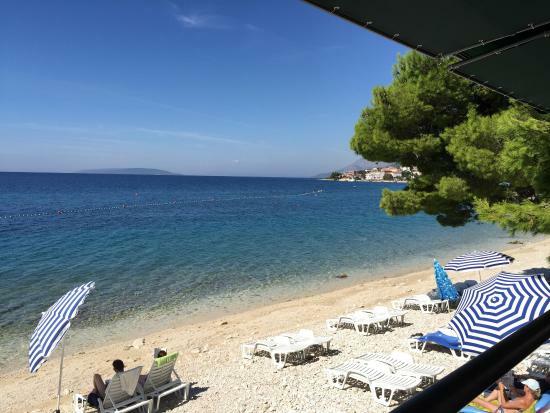 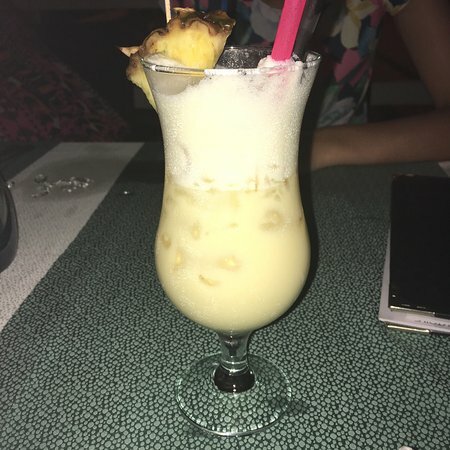 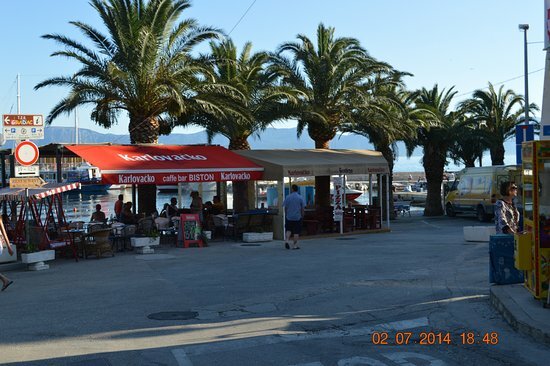 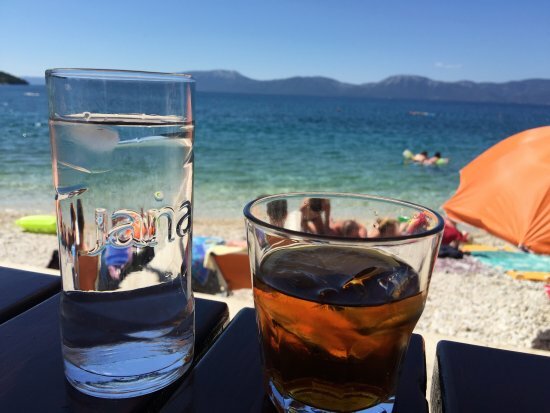 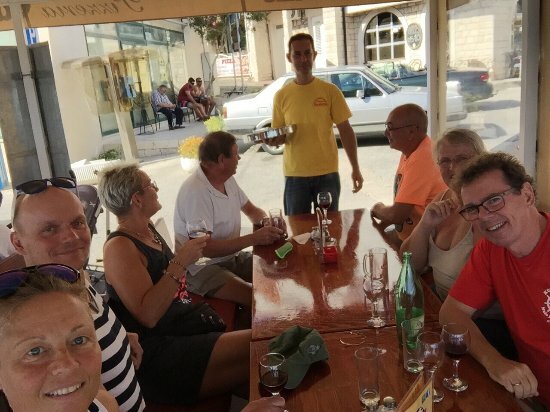 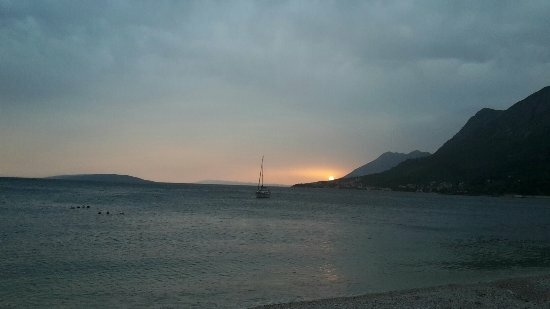 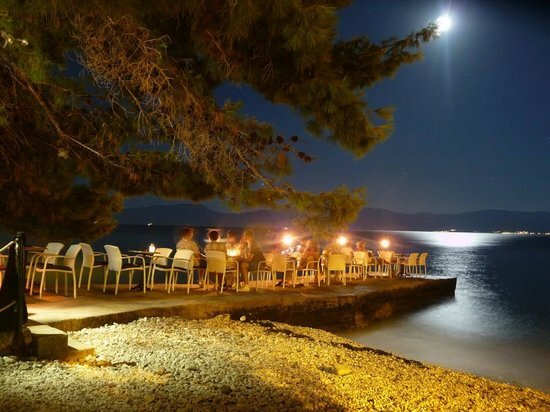 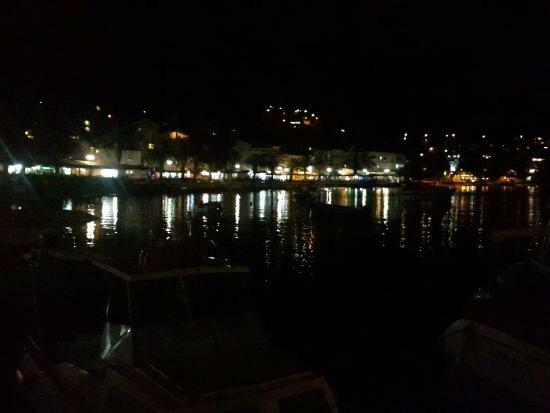 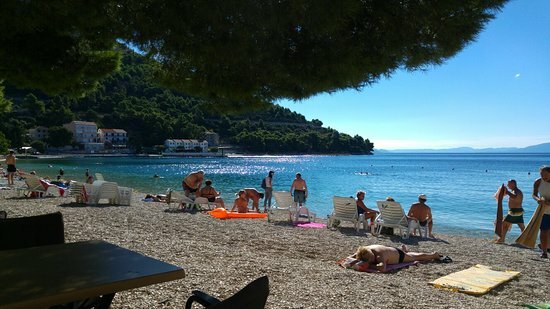 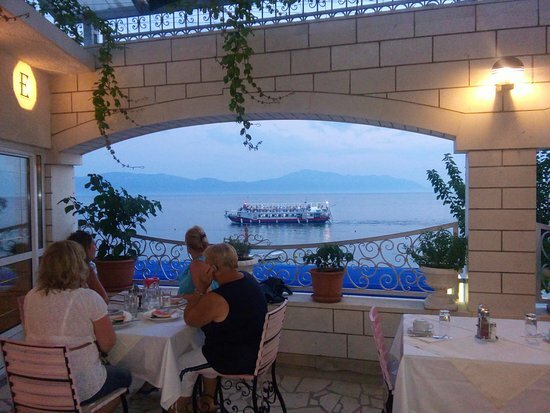 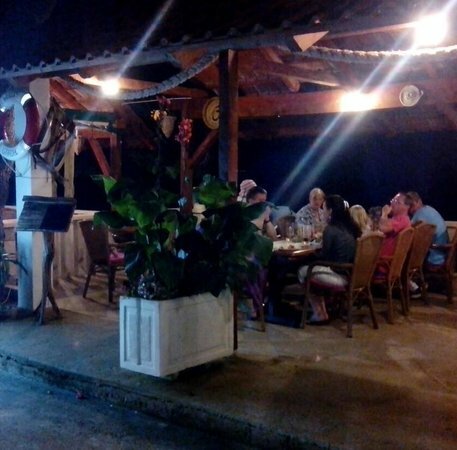 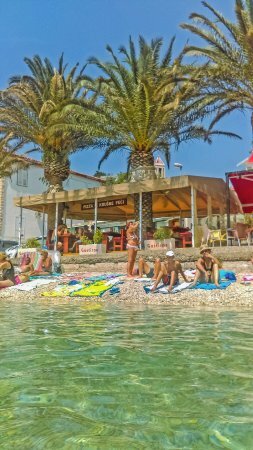 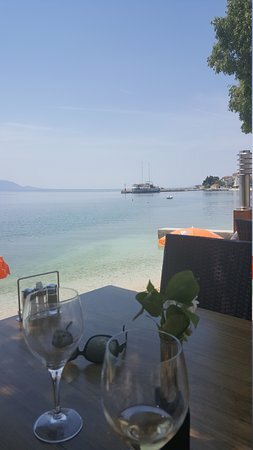 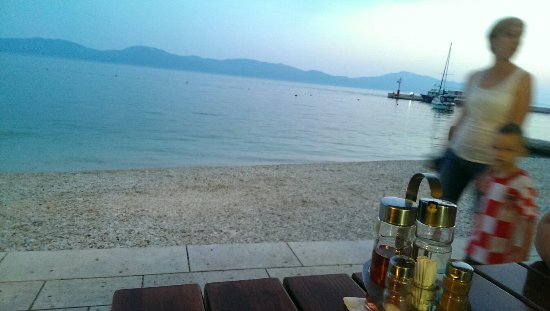 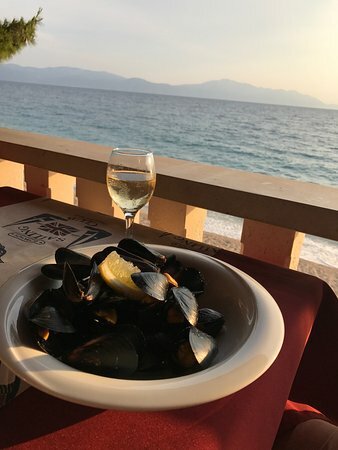 The outdoor setting next to the beach was nice and relaxing and we enjoyed watching the Ferries come and go and listening to the loud Croatian music coming from the "Felun Jedan" (One Felon/Convict) party cruise boat; an entertaining Monday night. 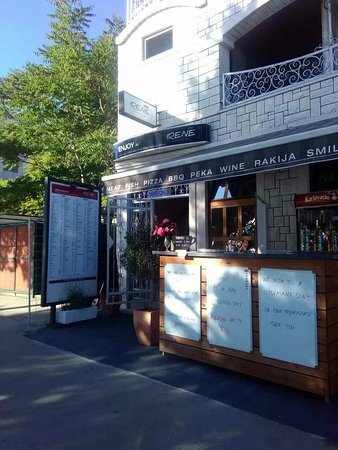 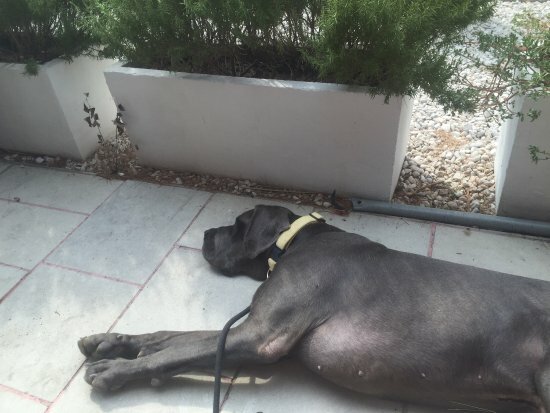 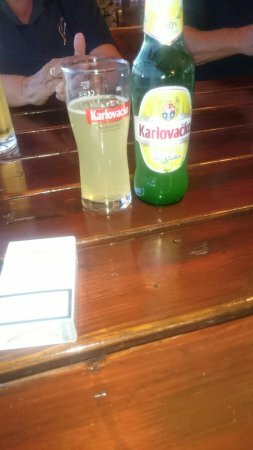 We went into a little bar in Vrgorac in search of lunch - but no food was served there. 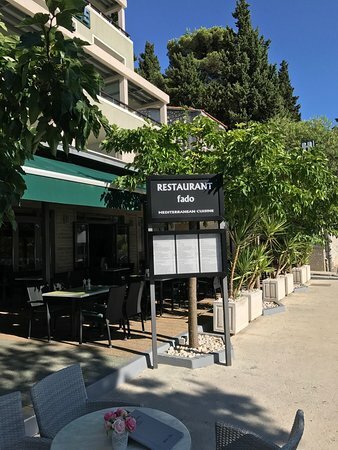 Although he spoke no English a lovely young man led us down an unsealed road to a modern, unimposing building where he left us with the most cheerful, helpful, English-speaking waiter whose name is unpronouncable! 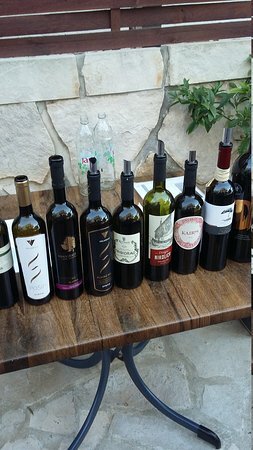 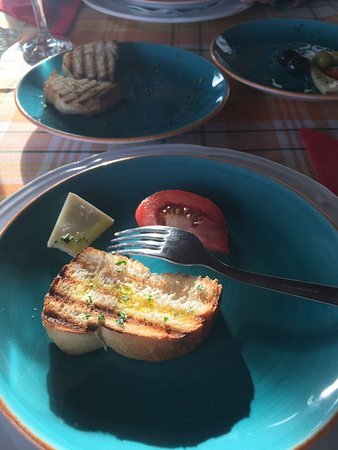 We were the only customers, and he cheerfully set us up at a table on the balcony with a lovely view over the rugged countryside up to the fortress (which he told us dated to the Turkish empire). 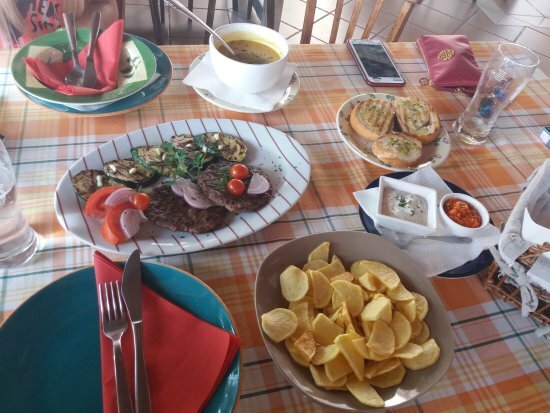 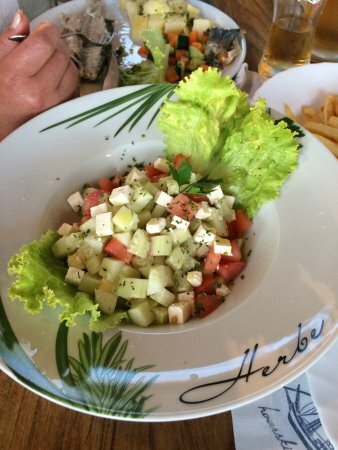 Our lunch was simple, unsophisticated food - and absolutely delicious. 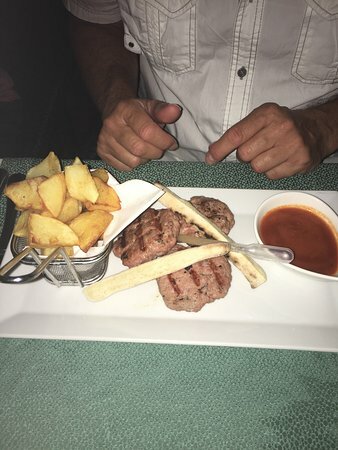 The BEST eye fillets (about 300 grams each) served very rare but of such quality you could cut it with a fork! 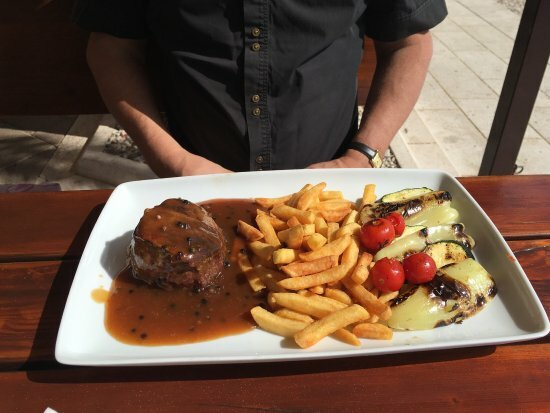 A delicious mixed grill too. 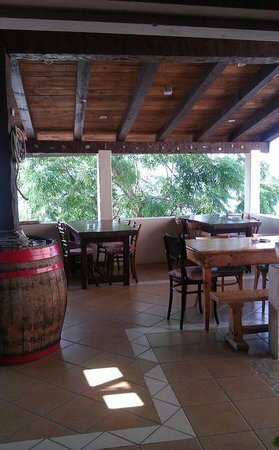 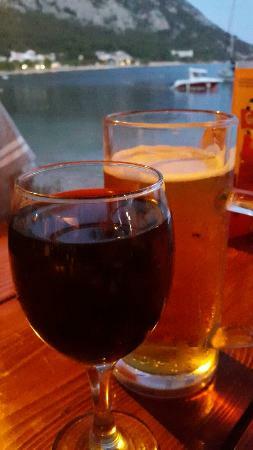 Local beers, good wine of the house, and excellent home baked bread to soak up the delicious mushroom gravy. 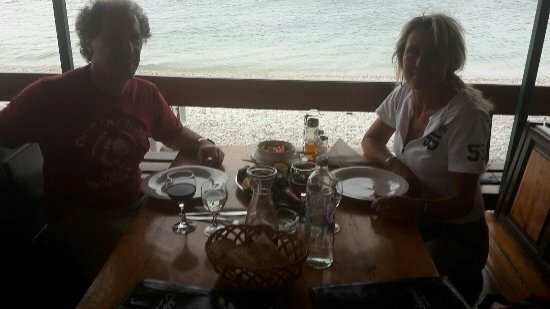 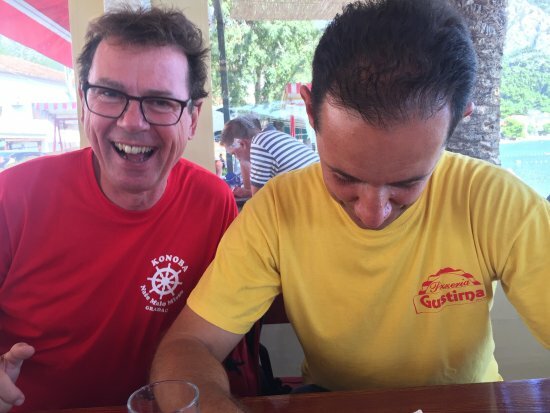 A hugely enjoyable meal - served by a guy with great good humour and generosity. 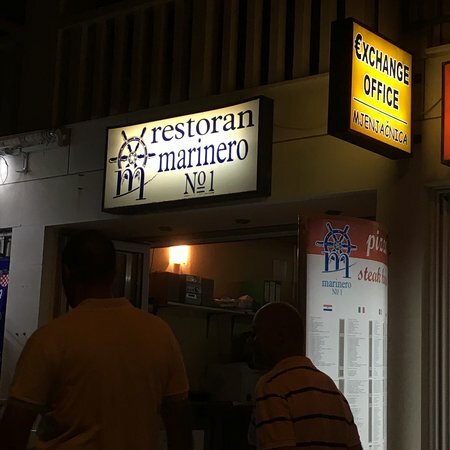 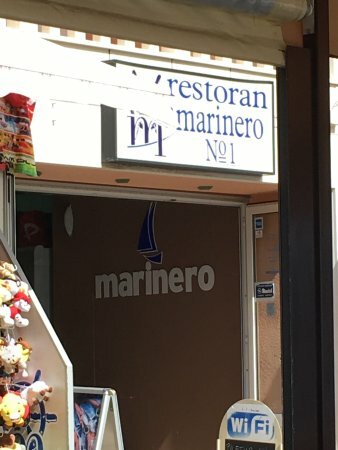 I would absolutely urge you to look for this restaurant even though it&apos;s a bit hard to find. 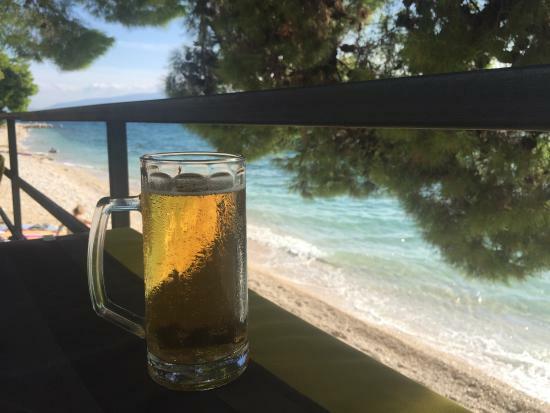 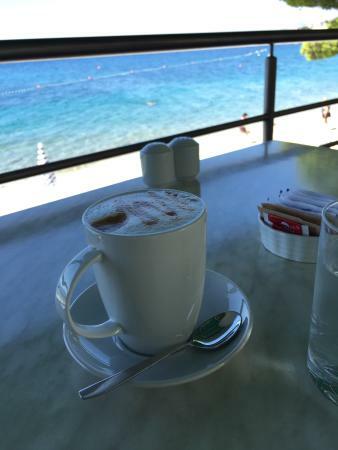 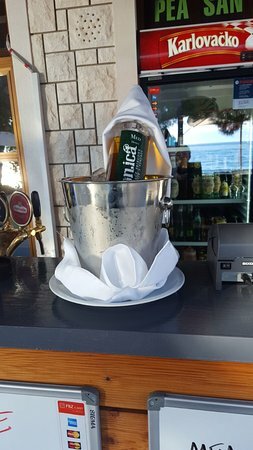 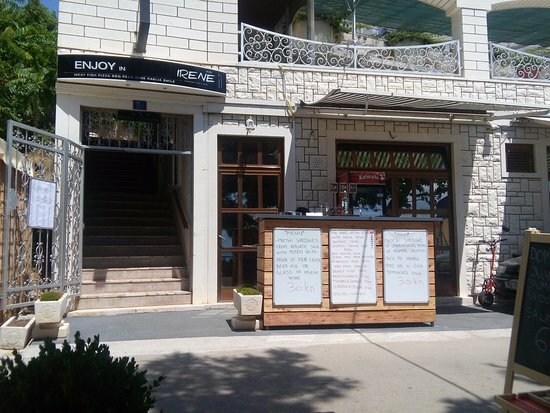 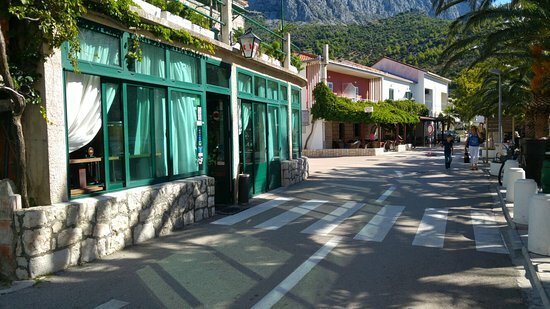 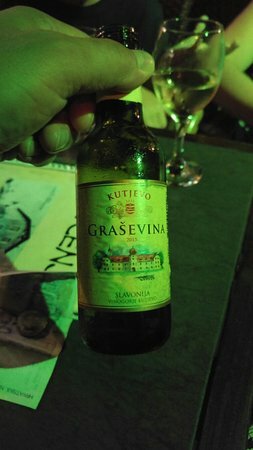 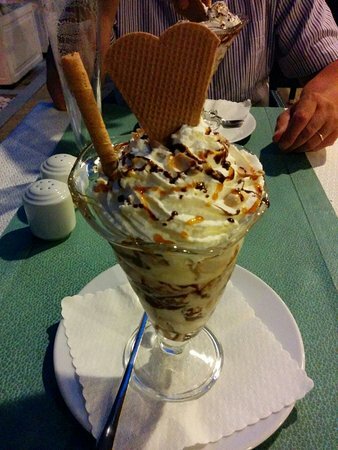 The only bar in Gradac with coffee cream :). 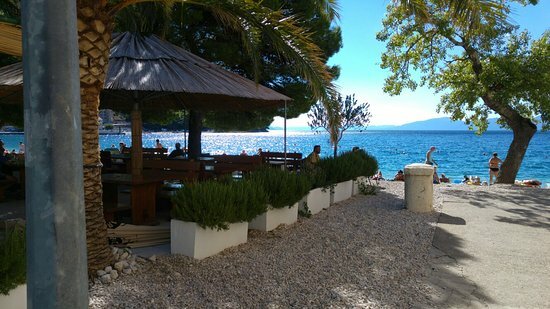 Location near, actually, partly on beach, has plenty of shade which is very helping in these extremly hot days. 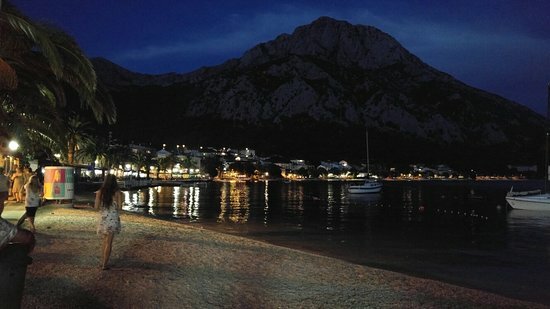 Music is not maybe my favorite (rock) but the place is kind of unique, has different kind of guests and its worth visiting - especially in the evening when you sit by the sea, watch stars and enjoy you coctail. 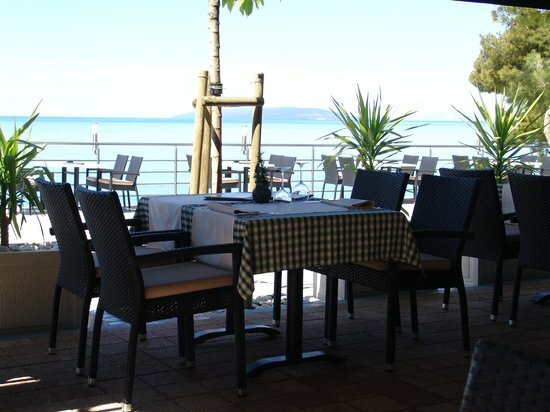 From 15.November till 15.April restaurant is closed. 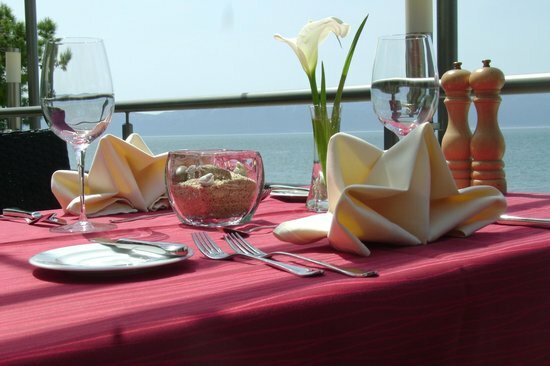 I&apos;ve became a regular guest and I noticed that even it was great in the very begining, now it&apos;s even better. 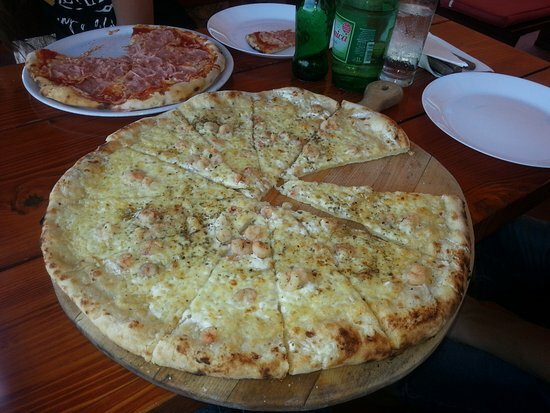 I absolutely reccomend new pizzas: mozzarela pizza and especially Shrimp pizza. 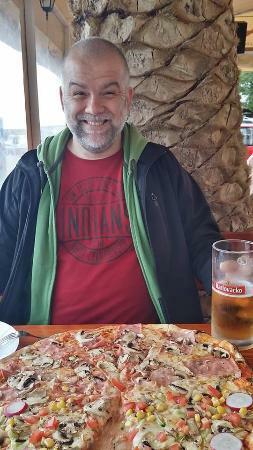 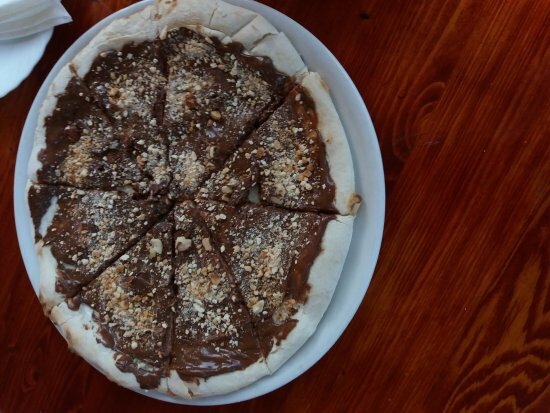 Even though when my sugar level goes down, Sweet pizza helps instantly :).